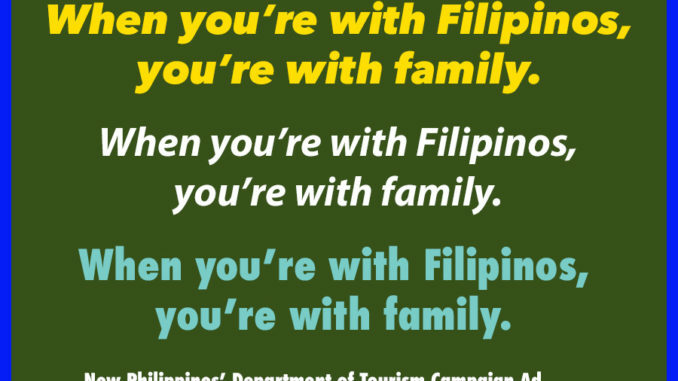 When you’re with Filipinos, you’re with family – new tourism campaign ad. 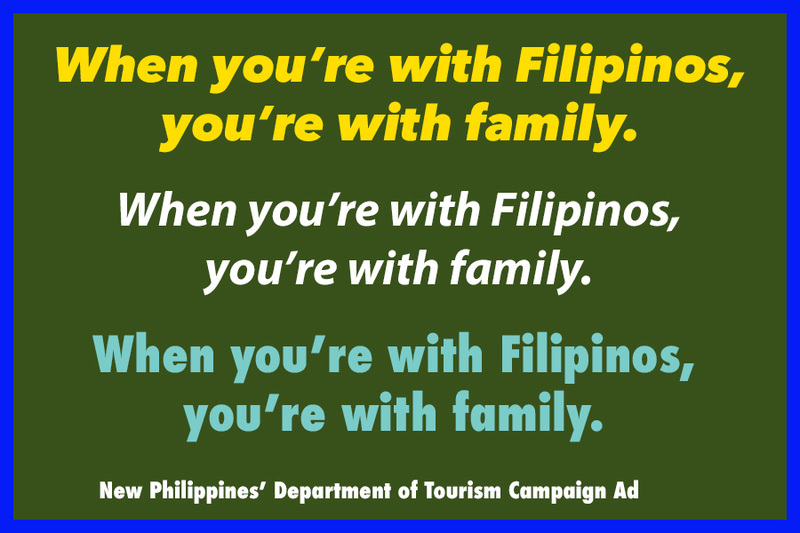 “When you’re with Filipinos, you’re with family”. This is the new campaign ad of the Philippines unveiled by Secretary Wanda Teo of the Department of Tourism. This campaign will be official launched on 30 January 2017 during the Miss Universe coronation night.